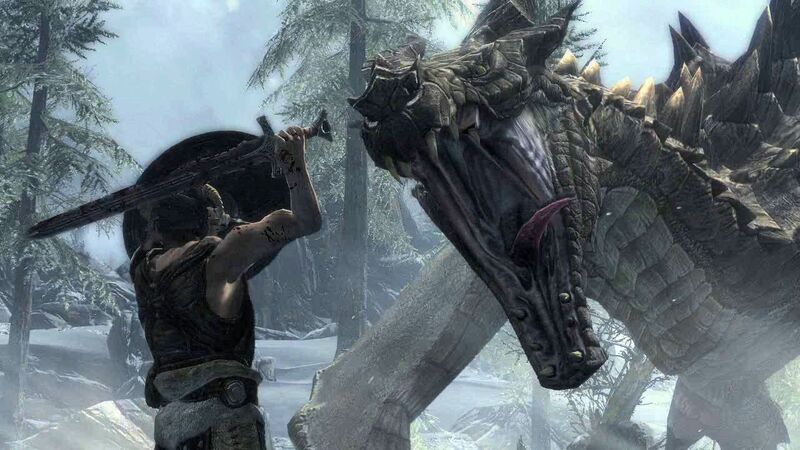 If you’re one of the crazies that didn’t pick up Skyrim when it released November 2011, you might soon have a chance to get the game, as well as all of its DLC. Eurogamer reports that a Polish retailer has details on a comprehensive edition of the hit game, and sets a tentative release date of June 7. This version is also said to include the DLC packs Dragonborn, Dawnguard, and Hearthfire, which would make this version of the game the one to get if you’re not yet a Skyrim player. As is usually the case with these collections, this pricing seems pretty generous. The rough conversions come out to $54 for the console versions and $44 for the PC version. As Eurogamer points out, this Legendary edition makes sense since Bethesda has already made it clear that there will be no additional major content released for the game. If you haven’t played Skyrim, does this give you a reason to do so? Tell us in the comments, or discuss your feelings on comprehensive editions in our forums!